Disclaimer: this post is in collaboration with Robin Pettersson who kindly offered discounted price for the sake of review. 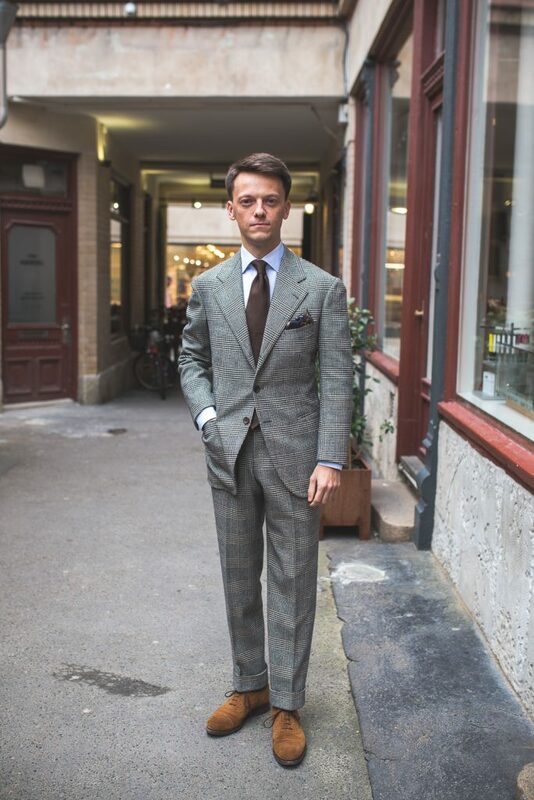 Finally picked up my BnTailor bespoke suit in Fox Brothers flannel from Robin Pettersson this past weekend. Myself and Aleks (AleksJJ) decided to go to Gothenburg to visit Robin’s shop/workshop and pick up my suit, while Aleks wanted to see some fabric swatches and possible place an order too. Because I now temporarily live in Copenhagen it is relatively close to Sweden and we both drove there as a Sunday trip. We arrived very hungry, it is approx. 3hr by car, and wanted to get lunch first before fitting the suit. Robin couldn’t wait and the moment we finished out burgers we were on our way back to the shop. 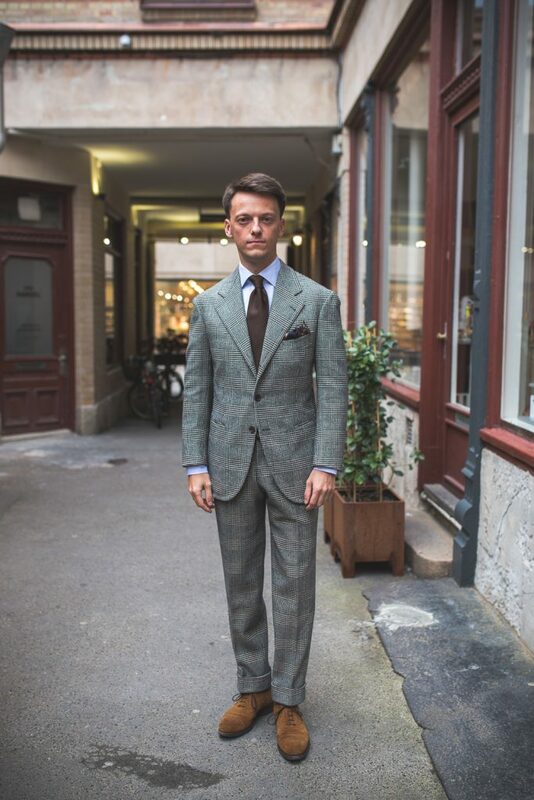 BnTailor bespoke suit in Fox Brother glen check flannel. 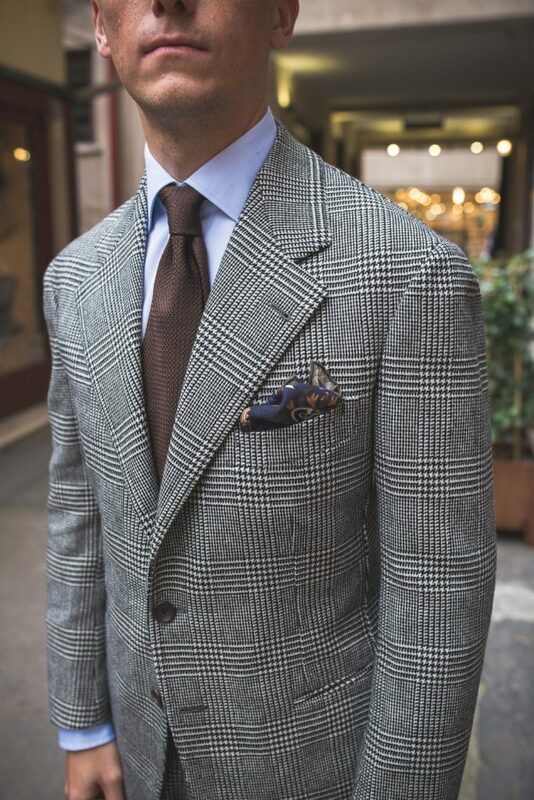 Let me start by saying that BnTailor did amazing job and their single breasted notch lapel cut in this heavy (13-14oz) flannel by Fox Brother is a piece of work. I feel fantastic in it. 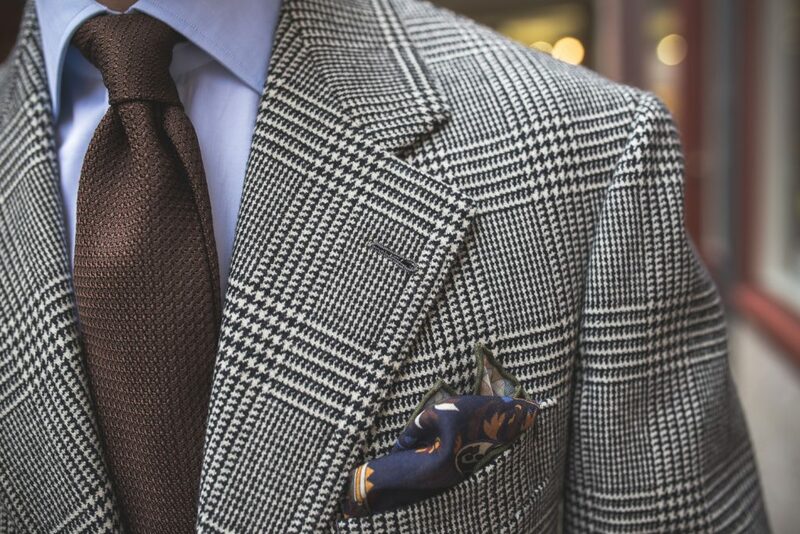 The cut is identical in terms of style to my grey Crispaire suit I had made a year before. The cloth though is completely different. Warm, heavy and very soft! Fox Brothers flannel is very comfortable to wear. 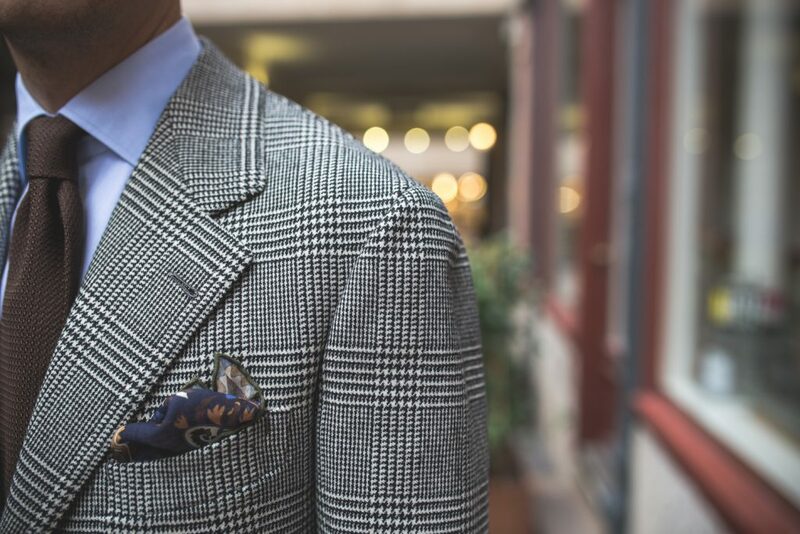 You can feel it is a proper weight cloth but the softness makes you feel like in a cozy jumper only in a bespoke cut of a jacket. Very good choice, have to admit. I was a bit worried in the beginning about the weight but as long as it is around 5-10 Celsius outside you can almost wear it without an overcoat. Fit is really good, slightly improved compared to the first commission. 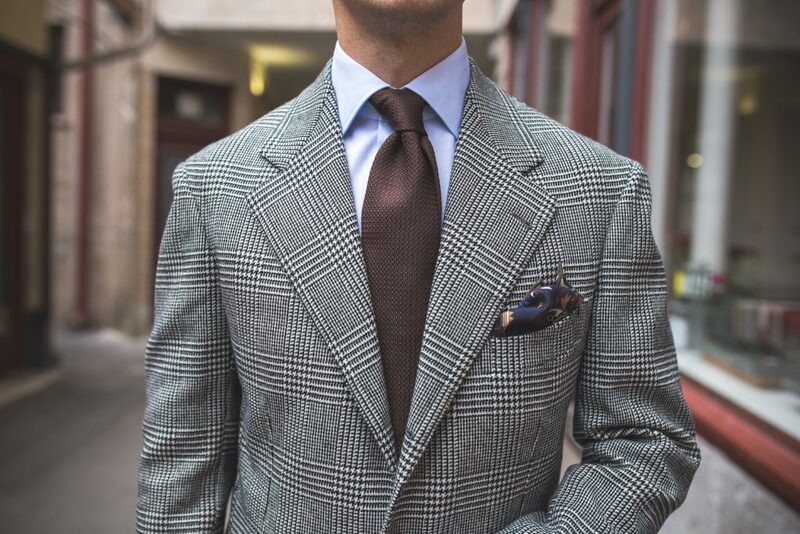 Proportions are excellent, it fits great in the chest, buttoning point is perfect as is the length. 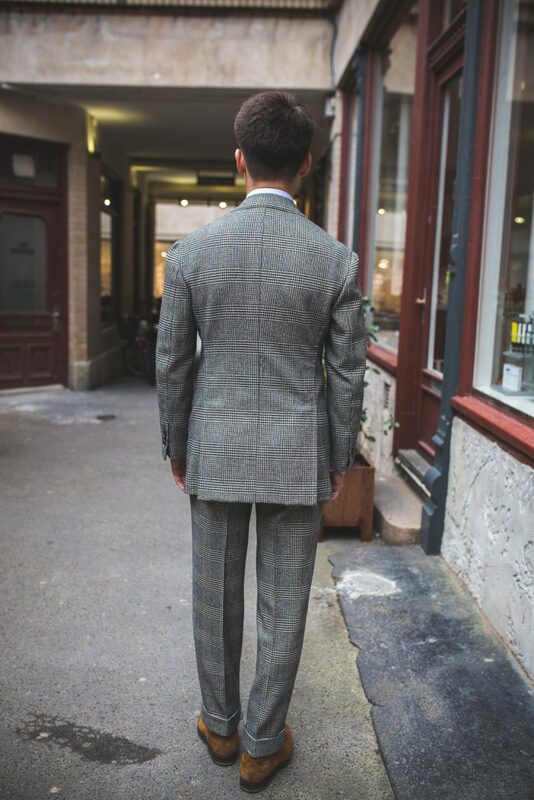 The back is clean and the trousers make my legs straight with just a bit of break in the bottom. You could argue there are creases here and there but we would all have to be perfectly balanced and the suit made from stainless steel not to see anything. It is a cloth in the end that hangs on a body that even for the same person is never exactly in the same position. The slight issue with the sloping, forward pointing right shoulder still exists though. There is slight discomfort unfortunately. 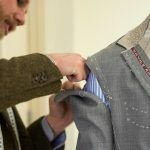 This problem occurs in all my bespoke orders, however it is least prominent in one sport coat that I will review soon. Right shoulder is also narrower and I imagine that is the reason why I feel pinching on the front of it when moving in certain way. The edge of the sleeve head just does not allow for enough space there. 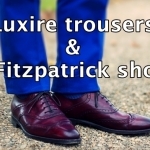 Trousers are really good. 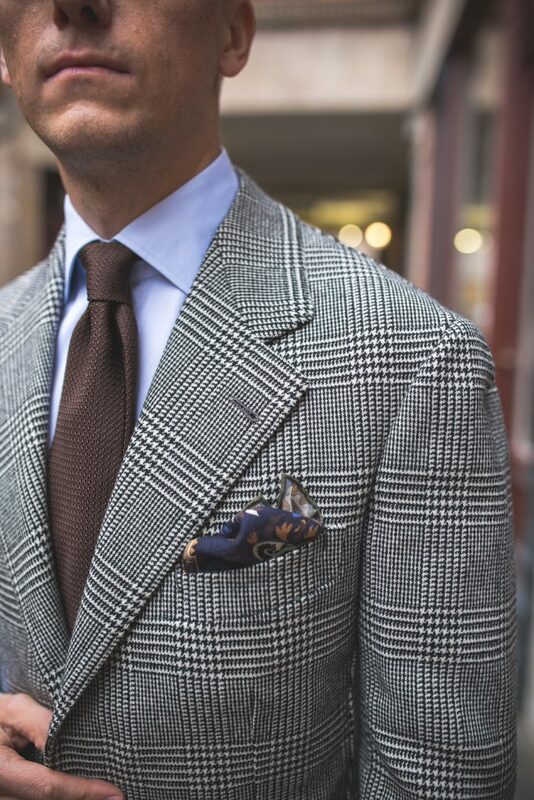 The cloth looks wonderful with pleats, while the crease and heavy cuffs drape very well. You almost feel like wearing 100g over your ankles! Again, softness is incredible on bare skin – that’s very important when spending a day in the office sitting. 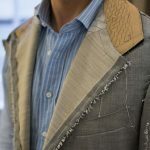 The experience with BnTailor is very good. They are timely and consistent. 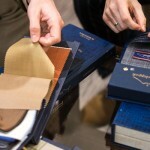 Arguably two of the most important aspects of working with a (travelling) tailor. 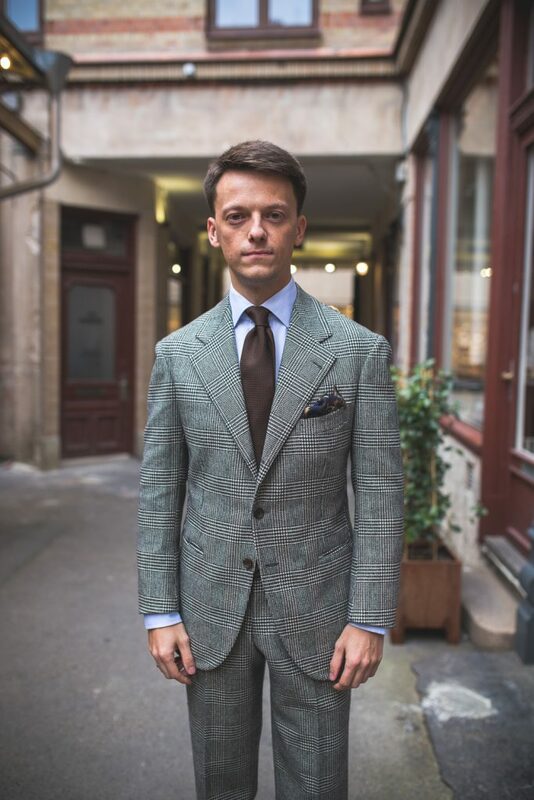 Robin himself is easy to contact and I never had any problems arranging a fitting or making sure I am in London for trunk show. Actually he even asks whether I will be in London the weekend he is planning a trip. Apart from the suit I am also wearing accessories that I borrowed from Robin’s shop for the photo session. The shirt is from 100hands (brand that I will also test soon), grenadine tie is from Cappelli and I don’t remember the pocket square but it was a really nice animal print, probably from Macclesfield. Hope this review is helpful to you. Thanks a lot for reading!